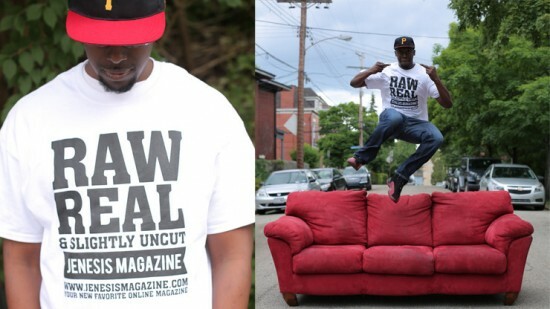 JENESIS releases newest “Raw, Real, Slightly Uncut’ T-Shirts – Be Fearless. Be Flagrant. Pittsburgh, PA —- JENESIS releases a limited run of its newest t-shirts. The all-white tee, available in both men and women’s styles, has the updated JENESIS tag line: “Raw, Real, & Slightly Uncut” printed on the front of the shirt. “This shirt is perfect for the summer and is the start of the expansion for JENESIS specific merchandising,” said Thomas Agnew, co-owner of JENESIS, an urban lifestyle brand that includes an online magazine.